What happens when someone claims against my car insurance? No matter whose fault it is or who’s claiming against whom, the first thing you need to do when you’ve been involved in any sort of collision is make sure everyone is safe and contact the police if necessary. There’s also key information you should obtain from the other party involved while you’re at the scene such as contact details, car registrations and accident details. We have a video and a guide on what to do after a car accident which will give you all the info you need on what to do immediately after an accident and how to make a claim. What happens when someone claims on your car insurance? The other driver involved in a collision might make a claim against your car insurance – known as a third party claim - if they believe you were to blame. If you agree you were at fault then the process is quite simple. Once you’ve reported the accident to us and admitted you were at fault you don’t need to do anything else – our Claims team will handle it all for you. They’ll speak to any third party reps such as insurers or solicitors and check over the documents from both parties – as long as the statements match up they will then pay out the claim as soon as the bill is received. Our Liability team deal with thousands of ‘liability disputes’ where both drivers involved in an accident deny they are at fault. In this instance, the team will look at loads of different evidence to determine who was to blame and assess if they can make a full or part recovery of the costs. Most insurers will no longer ask for a drawn diagram of the accident and prefer to speak to the people involved in the accident to take down a verbal statement. Once all the evidence has been collected the team can make an informed decision on which party was to blame and the claim can either be settled on a split liability percentage between both parties or in full by either driver. We will be able to tell the customer there and then of our liability position. Do I have to pay my car insurance excess if someone claims against me? No, the excess – both voluntary and compulsory – is the amount you pay towards your own claim or repairs, so you won’t have to pay the excess if a third party is claiming against you. See our guide on how car insurance excess works for more information. If you intend to claim for your own vehicle damage, your excess will apply. Will my car insurance be affected if someone claims against me? 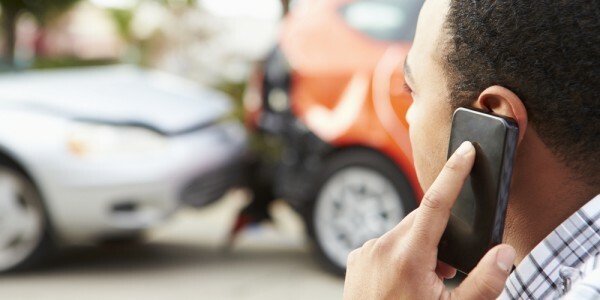 Whether or not you were at fault, many insurers’ data shows drivers who were involved in an accident are statistically more likely to be in an accident again within the next few years. This means you could see a rise in your premium at renewal – the rise could be higher if you were to blame for an accident. Don’t be tempted to keep the incident to yourself – you are obliged to tell your insurer if you’re involved in any incident. If your insurance company finds out about the accident they can cancel your policy or refuse to pay out on a future claim. Will my No Claims Bonus be affected if someone claims against my car insurance? Yes, if you or the other party make a claim and you are at fault for the accident, or liability is settled on a split percentage basis, your No Claims Bonus will be affected. However, you may not lose your entire bonus if this happens - if you make one claim during your insurance period, you'll lose two years’ worth; so, if you have five or more years’ No Claims Bonus, it would change to three years at renewal. If you’re not at fault for an incident and your insurer gets all the money back from the third party insurers, your No Claims Bonus won’t be affected. However, you could lose some of your bonus or if you’re hit by an uninsured driver, as the claim would be made through your insurer rather than the third party’s. With Admiral, however, we have an uninsured driver benefit – if you’re hit by an uninsured driver and you successfully claim through the Motor Insurance Bureau, your NCB will remain untouched.